Comment: Family room walls- the paneling has been painted since we have lived there- but the paint is splitting in the grooves of the paneling. Need an experienced painter who can remedy the situation. Comment: Living room, dining room, three bedrooms, closets, ceiling and all trim. Kitchen needs wallpaper removal, painting wall and ceiling, hallway needs wallpaper removal and paint walls and ceilings. All woodwork throughout house except bathrooms. Wilmington Painting Contractors are rated 4.77 out of 5 based on 1,360 reviews of 61 pros. 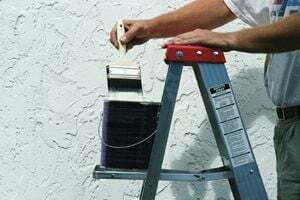 Not Looking for Painting Contractors in Wilmington, DE?